How to reach us from metro B platform. 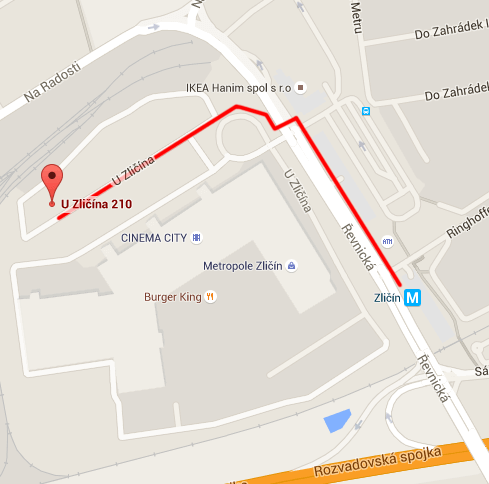 Because our address U Zličína 198/22 is new, you may not find it in your navigation system. Therefore, please use GPS 50.054273,14.2846686.